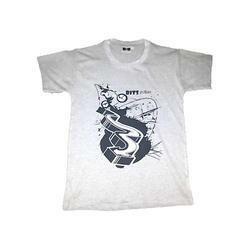 We are engaged in manufacturing and supplying an exquisite range of Casual T-Shirts. 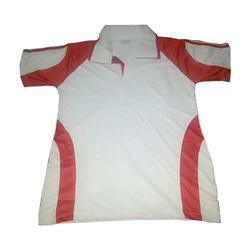 All these T-shirts are designed in various contemporary patterns and styles as per the requirements of customers. These T-shirts are tailored under the supervision of our team of creative designers and craftsmen using high quality fabric. Leveraging on our state-of-the-art infrastructure facility, we are engaged in manufacturing and supplying excellent quality Mens Casual T-Shirts. These T-shirts are tailor-made as per the specifications of our clients and are appreciated by them for their perfect fit. Furthermore, these T-shirts are suitable to be worn during the daytime as well as at night for parties and gatherings. Looking for Casual T-Shirts ?